I recently added a little section to the site called Pop Stars that some of you might find fun. Since I started making cupcake pops and then cake pops in different themes, I have received bunches of emails from readers that have made their own cake pops and have been sweet enough to share their photos and stories with me. And I wanted a way to share them with you. I mean if it wasn’t for you guys, I would have never stretched myself to see what I was capable of. Your enthusiasm for all the cake pops I’ve made, makes me want to keep trying harder, so thank you. Anyway, I hope these Pop Stars give you ideas on themes and color schemes, and maybe even the confidence to try them out yourself. Here’s a glimpse of the first batch I’ve added to the site. But there’s lots more to come. So from time to time, I’ll pick more Pop Stars at random and add them to the site. Some might be photographed really well, some might have a sweet story behind them and some might just be super cute. I hope you’ll have fun looking at all of them. 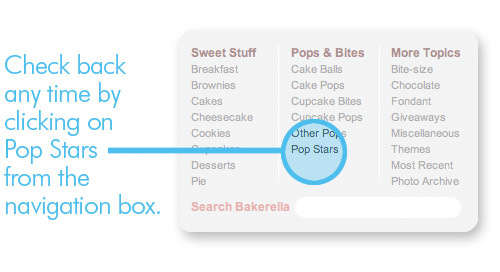 To view them, you can click on the Pop Stars link in the gray box found in the upper left hand portion of the site. 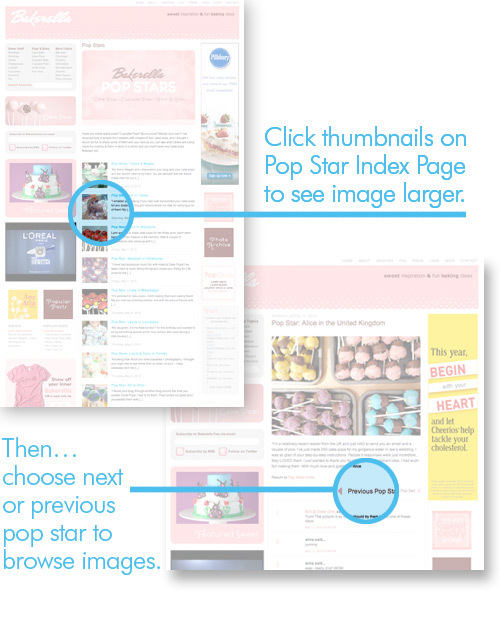 When you click on the link you’ll go to the Pop Stars Index Page where you can click on any thumbnail to go straight to the larger version of the image on its own page. Once on the individual page, you can browse more Pop Stars by clicking on the “Previous Pop Star” and “Next Pop Star” links on each page. If you want to be considered for the next Pop Star, email your photo to the address on the contact page. Add “Pop Star Submission” in the subject line and include your first name, state or country and a brief bit of info about the photo. Photos should be around 500 to 800 pixels wide at 72 dpi. Please don’t send hi-res images if possible. Keep in mind that not all submissions will be added and it may take some time for the ones selected to appear. Thanks again. Love you guys. P.S. I baked something yummy this weekend. I’ll do my best to get it up soon. Wow! Maybe I should try to make some soon! Fun. Can’t wait to see everyone’s ideas. I’m dying to make cake pops but i’m waiting for a special occasion, this is, the birthday of the little brother of a friend, he became crazy with the smiley pops and on his birthday i’m going to make him some :) besides that he loves my desserts and is dying to try them! so this is the perfect time to do the cake pops…but it’s until june 8. I made the apple cake pops for Teacher appreciation this past week, and they were a huge hit. Plus, they were super fun to make! I can’t wait to see what other people come up with. thanks for adding this on to your site what a wonderful idea for addiional inspirations ! Fantastic idea! 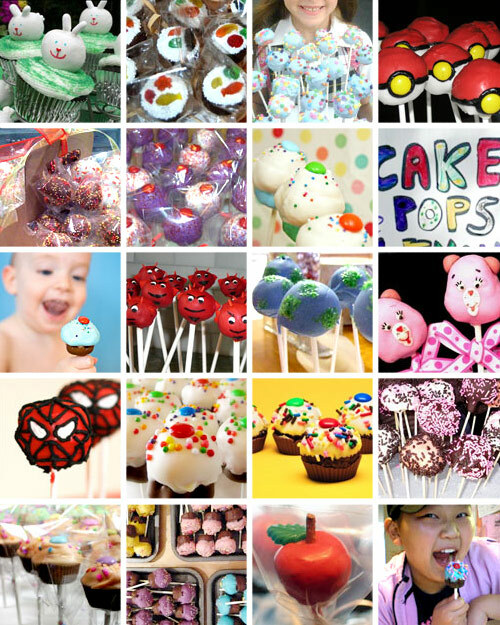 I find so many inspiring photos of cake pops from your fans on your facebook page. It’ll be wonderful to see them here too! How fun!! Thanks for sharing all these wonderful pics with us! Oh my! Even more cake pop goodness to enjoy? Happy Mother’s Day to me! :) Fab idea! What an awesome idea! Thanks for sharing. Everybody did great and I especially love the care bears. Too cute! Well, I guess I better get busy making cake pops! Simon Cowell’s not gonna be weighing in, right? Lately, I’ve been talking to so many people who have been in my life for awhile, and somehow, in conversation, I’ll find out that they’re just as in love with your blog as I am. 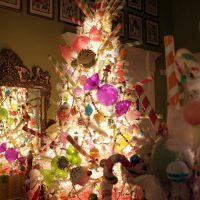 And it’s the greatest, squeal in joy in a very predictable and girly way, let’s bond over the cute bunnies and great colors and snowglobes, moment ever. I can’t wait o see what you’ve made this past weekend. great! my favourites are still the apples! Just look so perfect! Love the Pop Stars name! 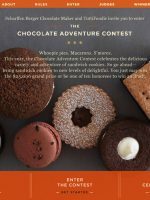 What fun to check out other people’s stories and submissions! 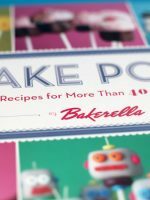 Bakerella, you are such an inspiration to us! 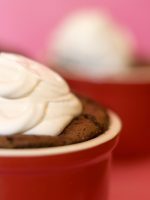 Can’t wait to see what you baked up this weekend! great idea! I love those devils and the carebears!!! So cute to see other ideas! Thanks for posting this new section. Have a GREAT week! It’s always fun to see what others are creating! Thank you! I’ve never made any sort of cake pop (I’m afraid), but it’ll be nice to see what other people do. I’m excited about the new section! Great post! Some incredibly creative people out there! I’m off to shower to take my daughter out to a nice dinner for her 14th birthday. She became the most popular girl in class today as we made cake balls last night and she took them to her class today. I will post photos later tonight on my blog. They were a big hit! It is hard to get them done though as we can’t get a hold of the right ingredients over here in the Middle East. Thanks again! Stop by my blog! That’s so cool! I love the twist on the name. I have still yet to try and make these little buggers…. I haven’t had an event to make them for. If I make them just for fun I will eat them all myself! Such a great idea, and such an interesting view into your readership – I can’t wait to investigate! Now you just need to make a set of N’Sync cake pops. How about some Batman or Ironman Pops??? I think cake pops might just be the best idea since…pop tarts! So many people have made yummy-looking pops. I’ve attempted a few times and they’ve turned out looking horrible, but tasting great. I’ll get it eventually! Ha..I laughed when I read that you “baked something yummy this weekend”…you ALWAYS bake something yummy ! ! ! ! ! Very cool. I’ve made cake pops, but I don’t think I did that great a job with the photography. Of course, I have an idea for another batch of cake pops, so maybe this time I will do a better job! I applaud anyone who can successfully make these cake pops! I tried them out last weekend and I could’ve sent them in to that “Cake Wrecks” website. I am utterly hopeless. LOL! These are great! Kudos to the bakers! Cakes are always popular among adults and children. It was not exception in my family. This post provided great ideas for decorating my cakes. It was cool. Gosh thank you so much for being so kind and including me!! I’m really extremely happy!!! You really have made my day!! Thank you so much for all the trouble you have gone to it means such a lot! Awesome! Thanks for sharing everyones ideas! Wow! These are great! And some are so creative. Lots of great ideas! I made a video tutorial on my cake pops. I just decorated with a little piping and lusterdust! i love how the cakepops look and all, but i was wondering, aren’t the sticks a bit of a waste? especially since the pops get eaten so quickly, in comparison to a regular candy lolly pop. little key cappers — cupcake style. They are too cute too be edible!!! I’ve already read all your blog and I’m in love!!!!!!!!! Where do I find the Cake Pop recipe – please? 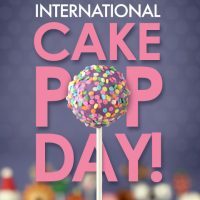 I just found this blog a couple of weeks ago, and ever since I’ve been really excited to try cake pops! Hopefully I’ll get to them soon. Thanks for all the pictures! I loved the idea of cake pops, but could you give a hint to Europeans (“metrics”, haha) about what kind of material we could use for “cream cheese” that makes them stay round? Dairy products names are the most confusing to translate. – things like “cream cottage cheese”, “cottage cream cheese”, “cream of fresh cheese”, “fresh creamy cheese”… arrrrgh! It’s a cupcake pops themed firefox! :) I thought you might enjoy it. Love your website! Love all the ideas and recipes. I made Easter chick cake pops and they were a huge hit. Question: The food markers that I found did not work so well. Do you have a brand that you recommend? what would you suggest to do for some TWILIGHT pops? I was thinking of vampires, but not sure of how i would do it. Anonymous – for Twilight themed pops you could do the apples from the book cover? how about silver volvos or forks? haha – just kidding. You could maybe try to fashion them like high heels for Alice, wolf paws for jacob, the top face of bella’s ring would be cool, too. Awesome! I live pokemon. I can’t wait to make those for my club! I am impressed. but Nestle is pure evil. Awesome! Thanks for sharing everyone ideas! Would you be up for trying American Girls ——-Molly cake pops? I could use the help in figuring it out. What a great art. Love everything you show. All of your ideas are so much fun. I can’t wait to share this with my readers. 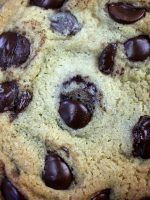 Can anyone help me find the recipe for balls using the oreo cookies. 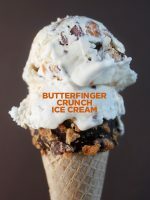 So I was standing in the check-out lane at the grocery store and saw a picture of the pumpkin/jack-o-lantern cupcake pops on the cover of a recipe magazine…I fell in LOVE! I went straight to your website when I got home! I gave cake pops my first attempt over the weekend. I graduated from Michigan State University and took the cake pops with me to tailgate on Saturday! They were a huge hit! I made a vanilla cake (dyed green) and white chocolate covering with green sprinkles…GO STATE! I had some cake balls left over, so I covered them in orange to make the pumpkin cake pops. The only trouble I had with my first attempt was that a lot of them cracked! :( Is there a tip to get the chocolate not to crack?! I think the cheesecake pops with be my next project! Love your site, love how much time you take in responding to blog posts, and I see the purchase of your book in my near future! how long do you think these pops will stay fresh…and can u freeze them? Love your work. Can you please tell me what is the average time before cake balls/pops go bad? How long should they be made in advance before you sell them or give them out? Hello – how would you ever price the balls and the pops if someone wanted to buy them? I have had people ask how much I would charge to make them. Ny name is Rafael and im from Brazil, I buy your book and i love your cake pops, i see ur website every week. Please say hello from Brazil….. bye bye…. Posts like this bgihrten up my day. Thanks for taking the time. 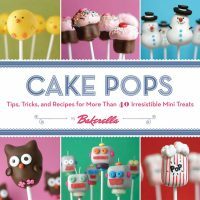 I just finished reading your book, “Cake Pops” and am SO excited. I was wondering if I could make the cake balls and freeze them undipped. Then when I had a party to go to I could pull some out and dip and decorate them accordingly. Would this approach affect the quality? Thanks for letting me know. I have been making pops for awhile….and I LOVE them!!! But could you please tell me how to keep the shine on them…after a day or two mine start to look a little ruff!!! Can you make blues clues? I made cake pops for my friends but my family ate them! But I made more. I love making them and I have your book! Hi..Just wanted to tell you that I love your products. 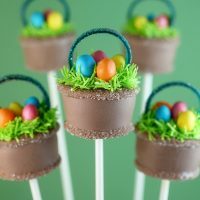 I havent made anything yet for my recipe site The Gourmet Mom: http://www.thegourmetmom.com, but I sure will be starting to make some treats for Easter and the summer as my nephews and nieces just love my cake pops inspired by Bakeralla! They all look yummy, and what nice pictures! Wow i am a big fan of pops and looking at so many different pops made by people, makes me feel so happy and awesome. I really gotta try making some of these cool design pops out.